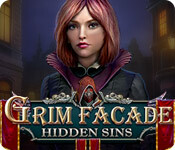 Grim Facade: Hidden Sins is rated 4.1 out of 5 by 22. Rated 5 out of 5 by rpggramma from Good fun game! Great fun, very enjoyable! Loved the puzzles; HOs were different each time, so that I had to figure what to do! It was a little confusing, but clever to break the monotony! Story was great with a twist end. Game was laid out well with a good map. Closed down completed areas, which was nice!! It was a little gory at first, but it cleaned up! Good mystery!! Rated 5 out of 5 by Kimmycoo from Really Unique Mini Games This game is the beginning of the future to HOS playing and seeming like an XBOX or PS3 or 4 game. There were so many mini games in this where you had to do many of the things you would in a console game. It had many of the same functions. I really liked that. One where you have to rock back and forth to get out of a trap upside down and then in another you had to beat a boss basically with crossbow, then another where you had to ride of a horse and shoot at a carriage in front of you. I was so frustrated but so surprised and happy with the game play. I am looking forward to more HOS having more mini games like this along with HOS scenes. Lets pump up the party developers, we are tired of just finding an object to go to a certain location, lets add much more challenge! This game did that and Im glad I bought it! BTW another thing that they are incorporating is decision making. For instance in the end of this game, you have to decide on the "should you or should you not"...if you play this to the end you'll see what I mean, I dont want to give it away, but I am loving the ability to choose like you would again in a console game and I like when you can choose what to say to a character as well. 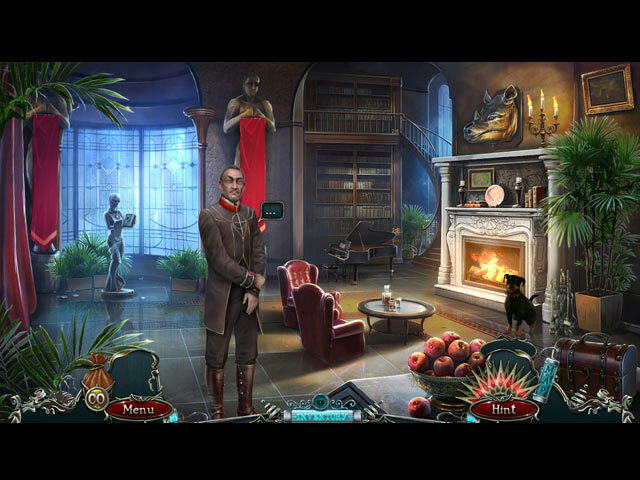 Rated 5 out of 5 by clubberella1 from Favorite Grim Facade game Hidden Sins is my favorite of the Grim Facade games. Love the art style and the story line! Rated 5 out of 5 by cajerleia from ERS games have outdone themselves!! Exciting!! 5 second hint and skip in custom mode folks! An awesome fun game!! 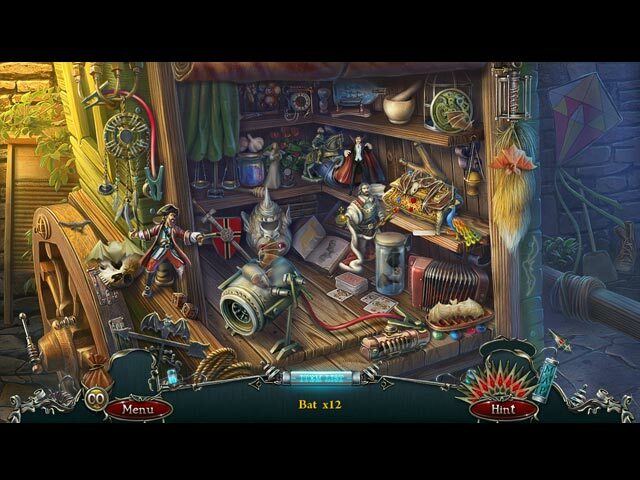 Rated 5 out of 5 by denniann2 from find the masked vigilante there is a custom level and an interactive map. you have been summoned to coldstone to find the mayor's wife who has been taken. there are murders happening and they need to be stopped and the the list that the mayor found has both his and his wife's name on it along with others in the village. you chased down the masked person and it will surprise you at the end. great graphics and the HO scenes vary in what kind they are. they are fairly easy to spot the items. sometimes, though, you have to figure out what to do unless you read the skip help. sometimes you don't have that, though. sequel...i feel sure. there always has been so far. 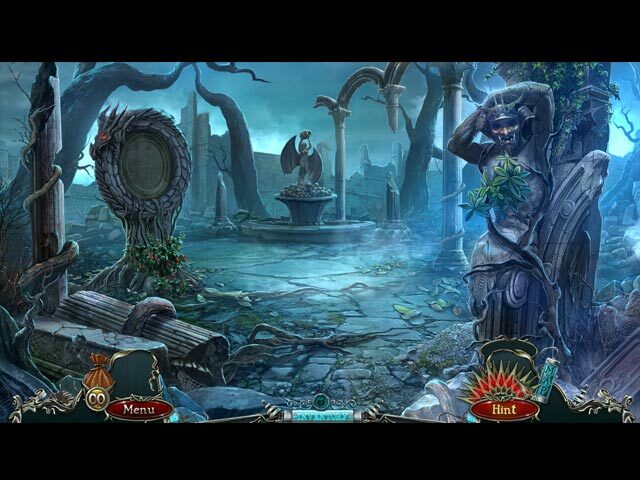 Rated 5 out of 5 by Yanie1020 from Another Great Grim Facade! This is quickly becoming my favorite series. I love ERS graphics and they always have some pretty good puzzles. All in all a fun game that I have no real complaints about. I've played all the Grim Facade games and will be waiting eagerly for the next one. Rated 5 out of 5 by MountainAJ from Awesome I loved this game, great story-line, great atmosphere, level of play just right for me. I love the Grim Facade series and this game certainly didn't disappoint me. Rated 5 out of 5 by kateblue222 from Definite buy . . . but which? CE or SE? I wrote a review when the CE came out, and I bought the CE. I partially reproduce that review here and note differences. This review is based upon playing the CE for maybe 3 hours and then playing the demo of the SE for a few minutes. If I am looking at reviews when the CE has been out for a while and there’s an SE newly released, I want to know whether to buy the SE or the CE. Here, I think the CE is worth it. Negative is, I didn’t think the achievements and collectables were very interesting, and their banners stuck out into the far left of the screen, showing all the time. But other CE features—the ability to play games over again, the music, and a bonus chapter--were enough to sell me on the CE. The CE kept me up way past my bedtime. A detective is tracking down a vigilante who is terrorizing a town for past injustices. People on a “blacklist” are dying. The detective must catch vigilante before the mayor of the town, who hired him and who is on the list, is killed. There’s a really interesting cat. The art is beautiful and the colors are nice. Even the little tokens that you pick up are cute. The black and white movies disbursed throughout added to the ambience. The music fits the story well (I particularly like “Track 1,” which is the first one you hear when you start the game). This might be one reason to buy the CE, if you like to play music later. The HOS’s were good and the mini-games were very, very good. Play is seamless and natural. You can figure out what to do without having to hit the hint button all the time, but it is not easy, either. SPOILER IN THIS PARAGRAPH, but it explains the way I figured out how to do something. The whole concept for collecting thoughts was unique and interesting, but the act of actually catching them was kind of boring because I did have a bit of trouble finding them (they are invisible and floating in the air). At first I kept sliding the thought catcher thingy up and down and back and forth, covering the whole screen in a methodical fashion. I caught a couple that way. But I don’t think that’s the best way. What I ended up doing for the rest was, I put the thought catcher thingy in the middle of the screen and slid the mouse straight up and down slowly. This caught the thoughts as they cruised through the middle of the screen. There were riddles. How fun! The only jarring note in my whole playing experience (I’m still not to the end of the CE) was in the mayor’s introduction. OK, I can see why people on a blacklist may be important people, a who’s who of a town. The people in charge are those in the position to perpetrate injustices that a vigilante would want to avenge. But to say that the mayor lives in “the nobility district?” Silly. Besides, since when is a mayor “nobility?” But since that’s the only thing I could find wrong with the game, I agree with other reviewers that it is one of the best games of the year. You gotta try it. I am very pleased with my CE purchase. Definitely get one or the other. Rated 4 out of 5 by Mari2006 from Very nice game I really enjoyed this game! Nicely pace, and I really enjoyed the graphics and storyline. Good job ERS.